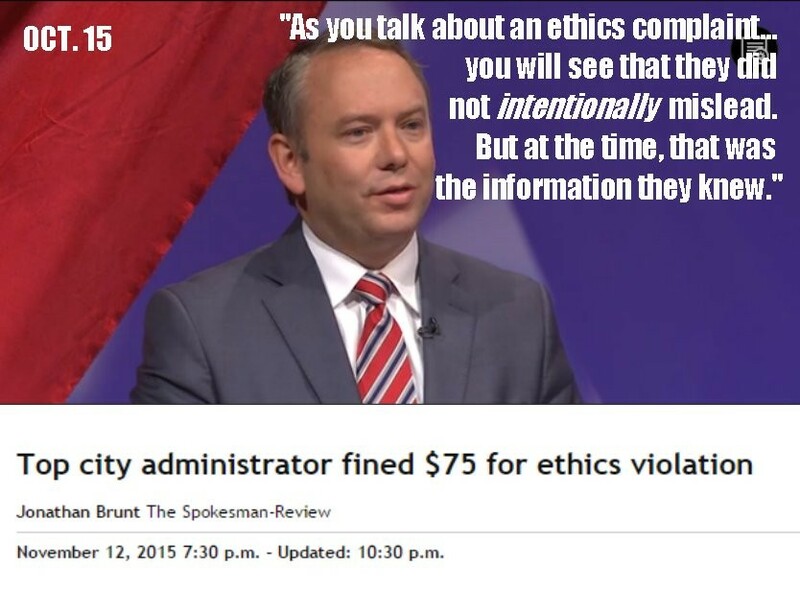 Mayor David Condon's claims about his administration's honesty have not aged well. When the Inlander asked Mayor David Condon if any sexual harassment complaints had been lodged against former Police Chief Frank Straub he gave a flat "no." Well, if you define lodge as to "present (a complaint, appeal, claim, etc.) formally to the proper authorities" then technically, no complaint was formally presented. That was a technical truth quacking like a lie. No formal complaint was filed, but the mayor had long since assigned an investigation into Cotton’s assertion that Straub had inappropriately touched and talked to her, and taken steps to prevent her from filing a claim against the city. Boy, do they. And what they say is this: Faced with a credible accusation of sexual harassment against the police chief he hired to restore credibility to the department, Condon attempted to hide it – to pay the victim and leave the alleged offender right where he was, supervising other women. All power is finally restored. Avista crews, incidentally, worked through Thanksgiving. KREM reports at least one lineman got free donuts and cookies from grateful neighbors as a result. KXLY dives into how the Spokane Guild School helps families with disabilities. Yet another American cultural product wins European love: Black Friday. Donald Trump appeared to mock a New York Times reporter for his disability. Now, he wants an apology. Trump, to be clear, is the one who wants the apology. From the New York Times. Best part of Black Friday? A bonus Record Store Day!